I hope you all had a chance to get your free download of the new Maximo Park track Wraithlike made available through the band’s website after you checked it out through my stream here. A tease to be sure but it leaves me eagerly, make that feverishly awaiting the release of the new record. It appears we won’t have to wait too long as Warp Records will be releasing Quicken The Heart on 5 May. Wraithlike is a very cool song but the lead single The Kids Are Sick Again is more like it. I’m hearing a lot of Pulp in this track even more so than before. The boys are growing but haven’t left their songwriting prowess behind and gone all Kaiser Chiefs on us. If I haven’t professed my love for this band enough to you all, let it be said here. Maximo Park are simply too good for words and the US mainstream audience that continues to be unaware of their presence. As you may or may not have figured out by now, I have a love/hate relationship with the rap realm. There’s very little worth talking about since Outkast abdicated their throne and we’re now left with fakes, charlatans, bling merchants, LL Cool J’s desperation for continued relevance and as the Wu-Tang Clan once said, “suit and tie rap that’s cleaner than a bar of soap”. It’s a sad and sorry state of affairs right now but at least we can take solace in the knowledge that the underground rap scene has a host of amazing and vital talent bursting at the seams. If you’ve had a pulse the last few years, you know some of the names: Mos Def, Talib Kweli, Jean Grae, Immortal Technique, MF Doom, Atmosphere, Sage Francis, J-Dilla, Murs, 9th Wonder, Little Brother, EL-P and everyone at Definitive Jux…I could go on and on on. Another artist who deserves to be in this category is one Del Tha Funky Homosapien. If the name sounds familiar (and it should! ), that would be because Del has been around since the early 90s at first writing songs for his cousin, Ice Cube’s group, Da Lench Mob to his cult classic debut record I Wish My Brother George Was Here to his breakthrough moment supplying his crafty rhymes to Clint Eastwood by Gorillaz which brings us to the here and now. On 7 April, Del is about to drop his new bomb on us, Funkman. A 13 track shot that will hopefully be heard ’round the world, Del goes on the attack to reclaim the true spirit of hip-hop…and it’s free! That’s right. The new record will be available for free at his site. Here’s a brand new track to check out in order to whet your appetite called Get It Right Now which is exactly I hope you will do when April 7th rolls around! That’s right, kids. 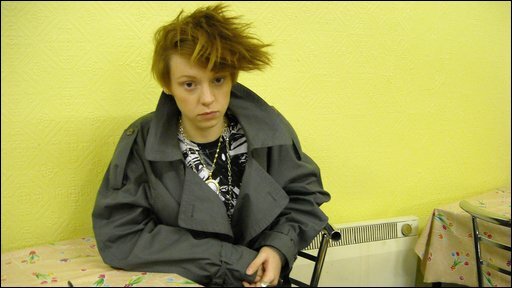 Finally comes the news that our dear La Roux is coming to America. This round will be a “Hello America” type deal that is sure to be followed by a much more involved jaunt later in the year. If you know what’s good for you, you’ll be in attendance and have a few friends in tow to witness the highlights of 2009 to be sure. Of course, you’ll all have to tell me how the Brooklyn date at Studio B goes as I’ll unfortunately be out of town that weekend. Grrr….Quel dommage! Here’s a little something to tide you over in the meantime. Enjoy! Sending friend requests on MySpace actually does work! Here’s a nice little ditty from a pretty sweet band out of London, Brighton & Melbourne according to their MySpace. They are called Coco Electrick and their brand of electronic pop is sure to turn a few heads. Their recently released record Army Behind The Sun is out now and I’ll be sure to track down a copy if the songs on their MySpace page are any indication. The Goldfrapp influence is readily apparent which is fine by me as I heart Alison Goldfrapp but that by no means is to be taken as an indictment of CE. They have a charm all their own and hopefully very soon they’ll have their shot at international acclaim. In the meantime, enjoy the Ju.Do remix of Pussyfooter. the courteeners this saturday? y’alright? Coming off of their sterling NYC debut last Tuesday, the Courteeners are taking a short break from their tour with the Moz to play a free show this Saturday at the Tribeca Grand Hotel. Can you say “SWEET”? By the way, did I mention that this was a free show? Yup. RSVP right now by sending a request to party@gbh.tv and you’re in. Naturally space will most likely be limited so make sure you and your crew get there early or risk being denied entry! Give Jimmy Fallon his credit. Yes, he’s not funny in the slightest. Yes, his movies are putrid but his recruiting of the Roots to be his house band did garner him a bit of respect from me. Add in the Public Enemy performance and now his booking of the Mozfather makes me want to rethink my position on Jimmy Jazz..maybe. Moz and the band (whom I’ve also had issued with) sound great here on Black Cloud. One of the more overlooked songs on Years of Refusal. If you haven’t bought the record yet, do so at once. It’s well worth the money. 100? you don’t look a day over 99! My how time flies… It’s my hundredth post! I would just like to take the opportunity to thank all of you my readers that I lovingly call my Suedeheads. You are the reason this blog exists. Well…you and my insatiable ego but it’s mostly you guys! The blog really is a labour of love and I hope you stick with me for a few hundred more posts and please keep the comments coming and bands, send me some more tunes so I can talk about you! Neil Tennant + Chris Lowe + Phil Oakey = WHAT…….? Yes upon its release will also be available as a limited edition which will include a second disc of remixes which will be entitled Yes Etc. It also features an absolute delectable track entitled This Used To Be The Future. 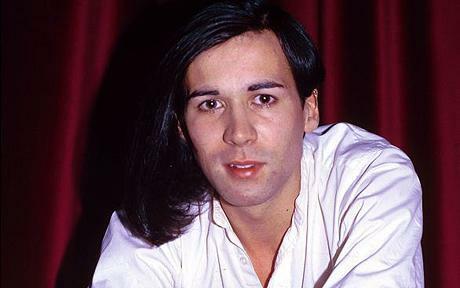 A simply delicious song featuring vocals by not only Neil but Chris and yup, Phil Oakey of the Human League. Two titans of electronic pop get together for a track can be nothing short of breathtaking. The song laments that the promise of a brighter future we all thought would be a certainty in the eighties would go unfulfilled. The songs begs for your attention so check it out now.